Last month our dear colleague, Laura, was able to sneak away from the office for a 10-day trip to New Zealand. 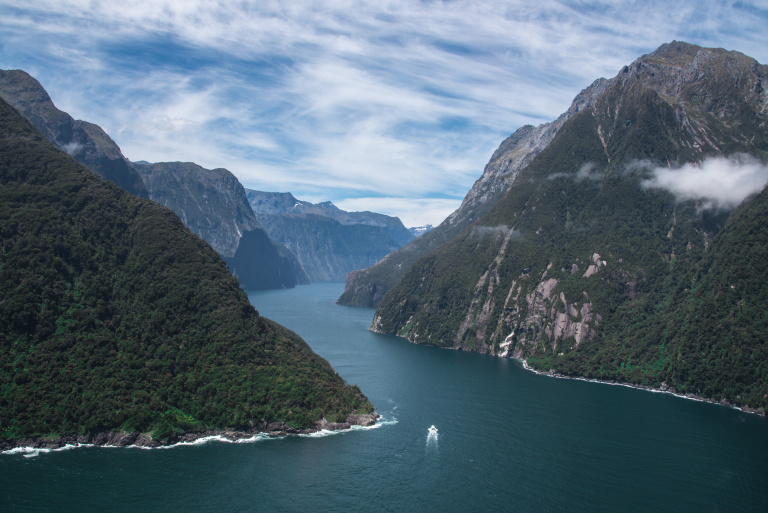 New Zealand is a much buzzed about destination that has been at the forefront of traveler’s bucket lists for a while now. Peter Jackson is often given credit for putting the remote Pacific islands on those lists. Peter Jackson, director of the hugely popular Lord of the Rings Trilogy and subsequent Hobbit movies, wisely chose New Zealand as the backdrop for Tolkien’s Middle Earth and throughout the movie, the beauty of the location often stole the scene. Suddenly everyone was asking themselves why they had never been? How did they not realize it was so gorgeous? How quickly can they get a flight booked? And, upon her return, Laura most enthusiastically confirmed that it is indeed incredible, to be exact: “the most beautiful place” she has ever seen! That’s a huge compliment coming from a seasoned world traveler! A few particulars about the place: Located about 900 miles southwest of Australia, it consists of 2 large islands and as many as 600 smaller islands in the far south Pacific. It was only recently populated by humans, relatively speaking; Pacific Islanders happened upon it sometime around 1250-1300 AD. It’s currently a Dominion of Great Britain and Queen Elizabeth II herself presides as head-of-state, with a Governor-general Prime Minister and parliament governing. Its capital city is Wellington on the southern end of the North Island, though its most populous city is Auckland to the north of the same island. The South Island is home to Christchurch and Queenstown, New Zealand’s other large urban areas. 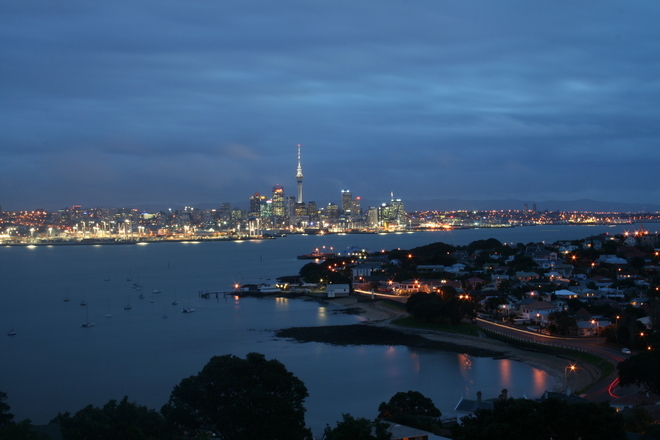 Laura caught a non-stop flight from Houston Intercontinental to Auckland. A long haul to be sure, but you can settle in with a few movies or something to read and a couple of glasses of wine, then when night comes you can sleep. Hopefully, you can nip at least 8 hours and before you know it you’ve crossed the international date line and you wake up on the ground in the morning to start a brand-new day. 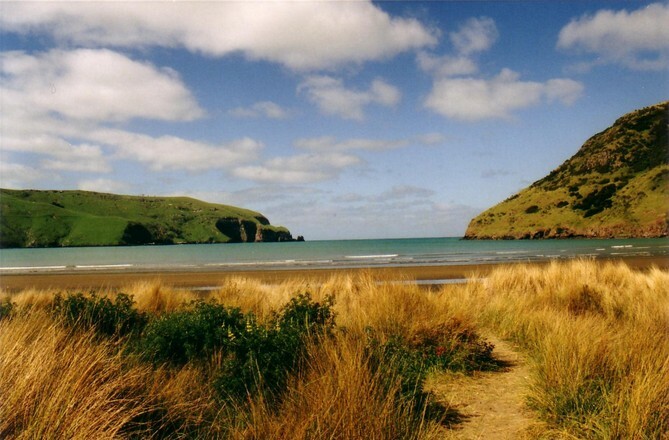 There is so much to see and do on both islands (most of the Lord of the Rings sites are on the North Island) but as Laura’s visit was to the South Island we will highlight that. From Auckland, she took a short domestic flight to Blenheim located on the northern edge of the South Island, which can also be reached by ferry from Wellington to the small port of Picton, just north of Blenheim. Blenheim is in the heart of New Zealand’s famous Sauvignon Blanc country and the region is dotted with wineries. Laura’s visit was orchestrated by Swain Destinations, who whisked her and her group off to the Marlborough Lodge where they dropped their bags before heading off to Brancott Estate Winery. There they were treated to wine tastings and a delightful lunch in a lovely restaurant with floor to ceiling windows allowing for sweeping views of the landscape. They later visited the Omaka Aviation Heritage Center, dedicated to all things aviation and blessed with an incredible World War I collection provided by Peter Jackson himself, an avid collector since childhood. The next day it was on to Kaikoura for a stay in Hapuka Lodge, luxury tree houses with stunning vistas from all rooms. Their hosts were Chris and Fiona who went above and beyond to make everyone welcome and happy. Fiona cooked a sumptuous meal and the group dined together, drinking wine and laughing the evening away. In Kaikoura, they attended a Maori Culture ceremony. The Maori culture is unique to New Zealand and a Maori ceremony is a truly extraordinary experience that shouldn’t be missed. Heading south the group visited Christchurch, a vibrant city – both historic and contemporary – full of boutiques, galleries, and markets. Still recovering from the recent earthquakes that rocked the area, parts of it are full of dust, noise, messy traffic and construction. But do not be deterred! It is still worth an overnight stop, especially to see the Botanical Gardens and Hadley Park in the city center. The countryside surrounding Christchurch is spectacular and outdoor activities abound. Otahuna Lodge is just a half an hour outside the city nestled among the hills. What was originally a private home (and has moonlighted as a monastery and also a hippy commune! ), Otahuna Lodge is a charming and sophisticated place where guests can really participate in the experience. They can visit the gardens and learn about the flora first hand from the head gardener. They can even pop down to the kitchen at any time to learn and assist in meal preparations with the Lodge’s incredible chef. Of course, you can also opt to simply put your feet up and sip a glass of regional wine while enjoying the surroundings. 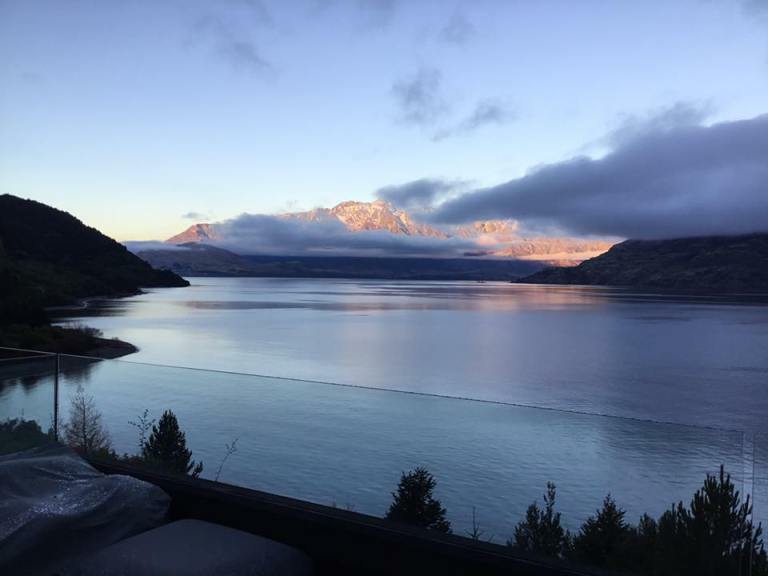 Next up was a scenic 6-hour drive to Queenstown (it can be reached much quicker on a short domestic flight, but you do miss all the gorgeous scenery) for a stay at the amazing Matakauri Lodge. The lodge is located on the banks of Lake Wakatipu, just minutes from the heart of Queenstown. At Matakauri Lodge there is not a bad seat in the house, literally! There are breathtaking views of the lake and surrounding mountains from every room. Queenstown is vibrant city and the region is a haven for adventure seekers – bungee jumping started here with the first ever commercial bungee just outside of Queenstown on the Kawarau Gorge. This is sure to get your heart racing and give you bragging rights at the next office happy hour. Laura was treated to a jet boat excursion on the Dart River on the northern end of the lake; an exhilarating boat ride with the captain doing 360s and jetting through the waters much to the thrill of all on board. 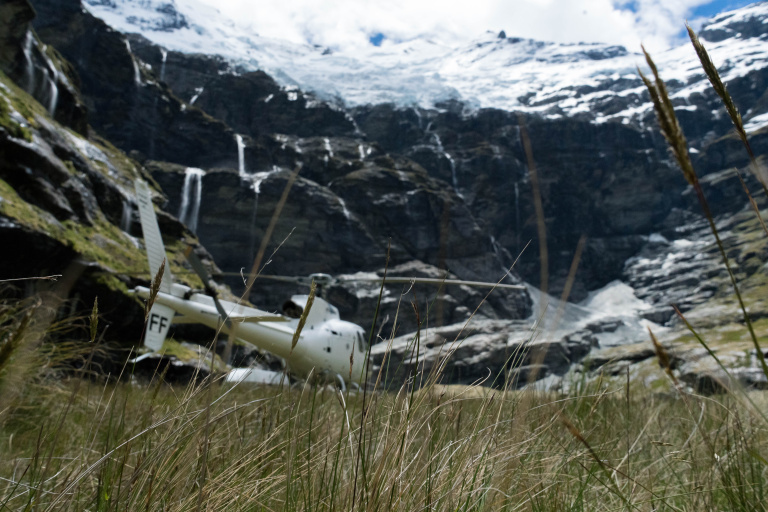 But, to top that, later they were whisked away on a helicopter for an awe-inspiring glacier tour. This a once in a lifetime splurge experience that will take your breath away. It can even be arranged to land on a field on a mountaintop for a champagne picnic, if you are so inclined, and honestly, who isn’t! All throughout New Zealand you are immersed in nature, culture, amazing food and wine. There are activities to feed any appetite: fly fishing, hiking, museums, food tours, hunting, whale watching, winery tours, white-water rafting – the list goes on and on. Many people want to combine a trip to New Zealand with a visit to Australia. But we caution against that as there isn’t enough time to enjoy both places if you combine them. 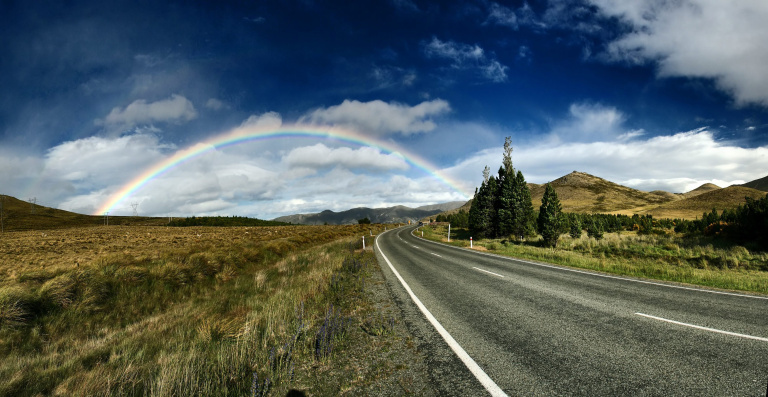 You need at least a 10-day tour around New Zealand to truly immerse yourself in the experience and let the beauty sooth your soul and inspire your senses.